Today I am sharing another project that I am doing with my monthly club groups! This card came about because of the fold! I wanted to share some new folds with my gals this month. Most of my club groups have been with me for a number of years now and I wanted to give them some special projects! This is called an easel card. The cover folds up and stays open like the legs of an easel. The card base is marina mist cardstock. The front is then layered with Primrose Petals, Whisper White, and some of the Twitterpated DSP. 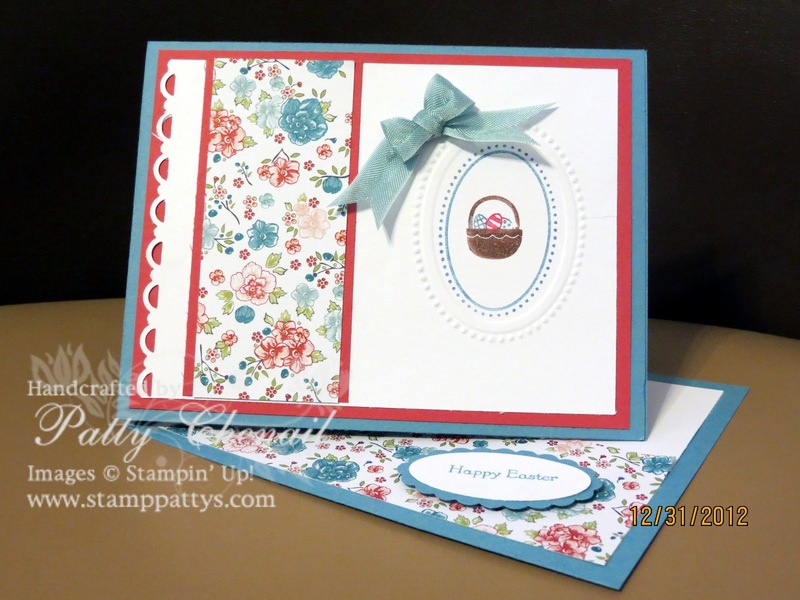 The top layer is embossed with the Big Shot using the Oval Frame embossing folder. I couldn’t resist putting one of my fork bows (see video here) on the card! 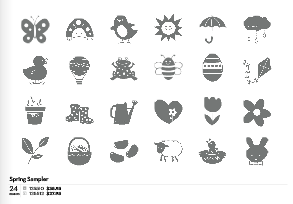 The easter basket is from a brand new stamp set in the Spring Mini Catalog called, Spring Sampler. I originally got this set from the new mini because I see it as a perfect set for creating the 1-1/2″ squares to make a great spring wall art! Stay tuned for this because this is my plan for my downline group for our February or March gathering!